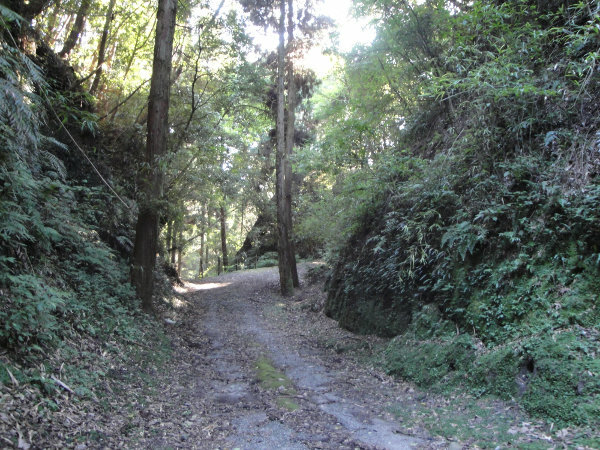 Chiran Castle is classified as a mountain castle, and is located in Kagoshima Prefecture. 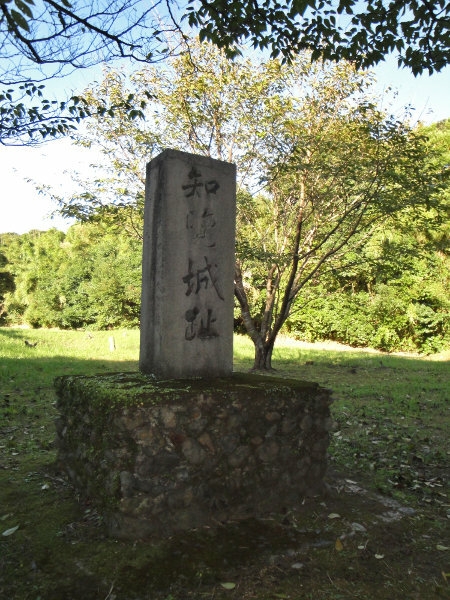 During the pre-modern age, it found itself within the borders of Satsuma Province. It is associated with the Sata clan. Dates in use: 1197 - 1591. 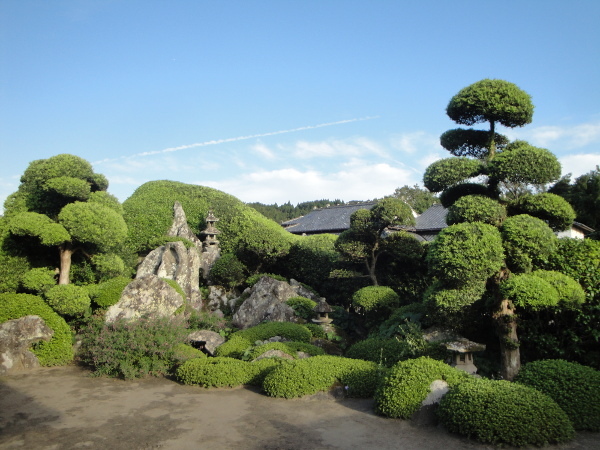 If you are in Kagoshima for site-sightseeing, there's every chance you'll find yourself visiting the town of Chiran for its Kamikaze museum and for its cluster of samurai-era streets & gardens, both of which I'd highly recommend. 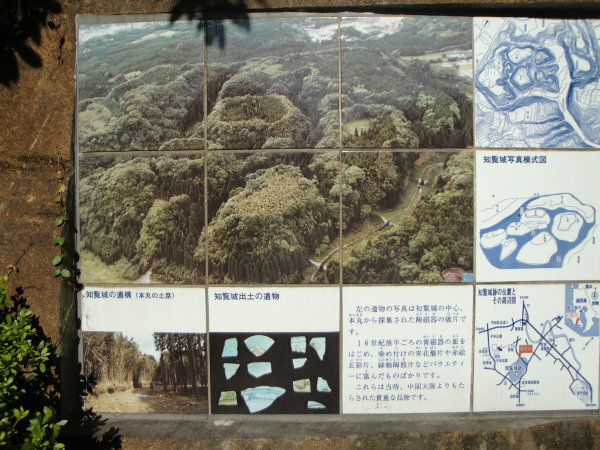 As for the near-by Chiran castle ruins, it is perhaps only for the more castle-nerdy among us. 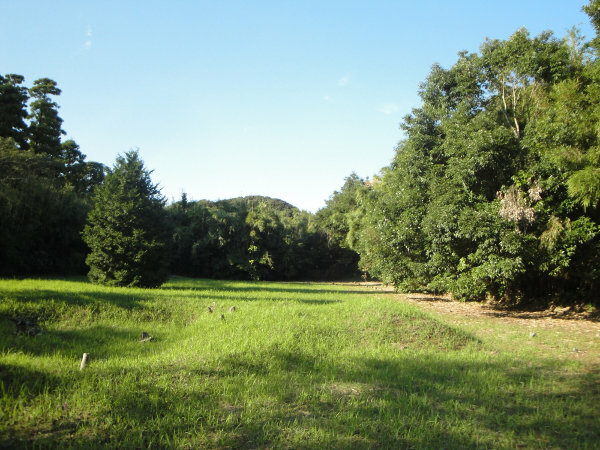 The form of the castle ruins is highly unusual. Multiple enclosures were formed by the natural erosion of volcanic ash resulting in half-a-dozen or so extremely steep, plateaued hills. 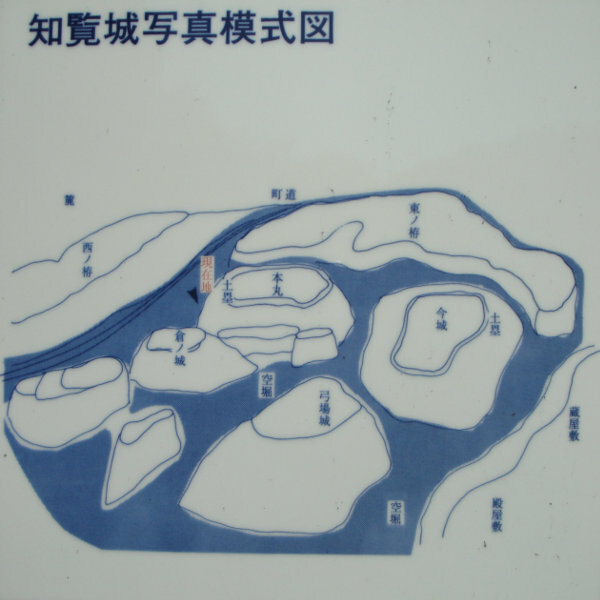 Each of these plateaus could be reached by narrow, zig-zagged entrances known as Ko-guchi (虎口), a tiger's mouth. 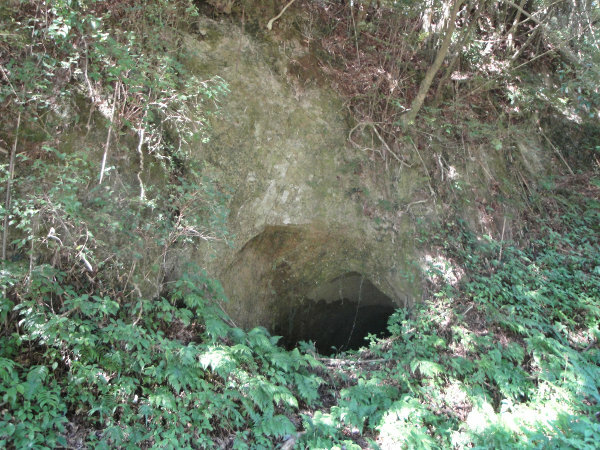 One most unusual feature at this castle are the numerous man-made caves that bore into the mounds. I cannot be sure of who made them or their intended purpose. My guess is that they were used at shelters during WWII. 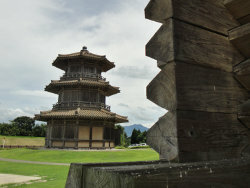 1197 Fortifications were believed to be first built at this time & being completed 8 years later. In command was Taira Tadamasa. 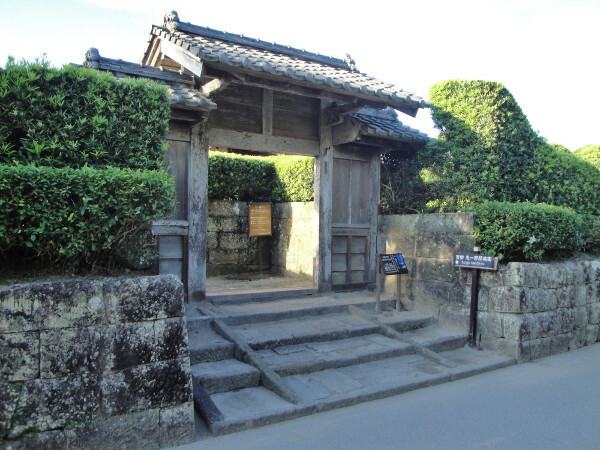 1353 The castle was in the possession of Chiran Tadayo but it was Ashikaga Takauji who awarded the castle to Sata Tadamitsu, the brother of the fifth Shimazu lord, Tadahisa. 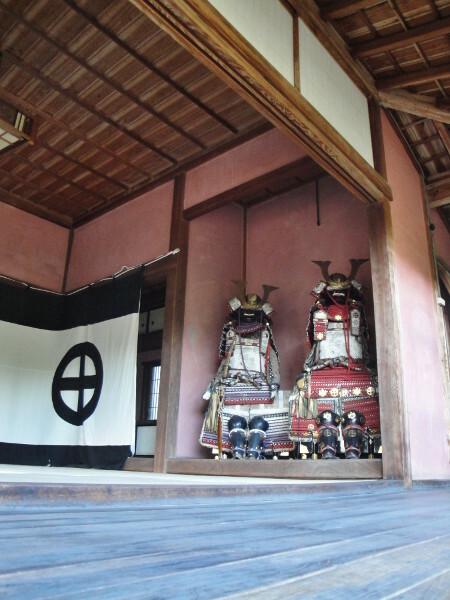 1420 Control of the castle was returned to the Sata family after it had previously fallen to soldiers of the Ijuin clan. 1591 Due to disobedience (piracy? ), the Sata lord was removed from the castle. The castle burnt to the ground at this time. 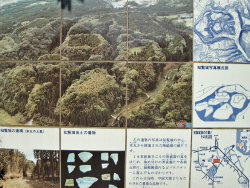 1993 The castle ruins were awarded National Historic Site status.